Come and see the design reveal for the Northeast Senior Center! 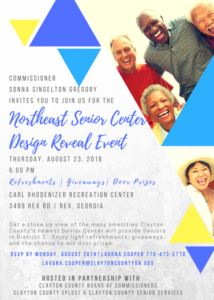 The Northeast Senior Center will be a state-of-the-art facility with spaces designed for fitness, education, social gathering and community interaction. The Design Reveal Party will include a ceremonial turning of the first sod to celebrate the commencement of construction. 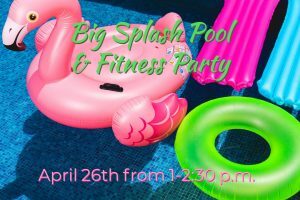 This event will take place indoors and will showcase different classes and activities offered. 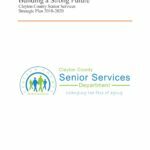 Senior Services Department staff, Clayton County officials and senior center members will be in attendance.